The 4-star Novotel Riyadh Al Anoud hotel is located in King Fahad Road Olaya District,150 Meter from Kingdom Tower in the business and shopping district of Riyadh. The banquet and meeting facilities are perfect for hosting seminars, as well as wedding rec eptions. The restaurant offers tantalizing gastronomy, an elegant ambiance and flawless service, so you can enjoy eating out at Novotel. A mere 35 minutes drive from King Khaled airport, the Novotel Riyadh Al Anoud is part of the iconic Al Anoud Tower, one of Riyadh's tallest skyscrapers. Located in the dynamic Olaya financial district, the hotel offers easy access to the city's International Exhibition Center, diplomatic quarters and Government offices. When business is over, indulge in a little shopping at the nearby Al Faisaliah shopping mall and the Riyadh Gallery, or visit attractions like the Old Souk and the Riyadh Museum. Novotel Riyadh Al Anoud's spacious and elegantly appointed guest rooms and suites, bathed in natural light through a unique architectural design offer space and functionality amid fine furnishing and luxurious fabrics.
" Lounge Cafe", located in the lobby lounge provides quick meals,as well as a selection of delightful pastries. Overall a very good option for a business trip. Well located and excellent front desk support but housekeeping needs improvement both in regard of responding to queries and as well as handling the cleaning. It was very good, I liked the room along with the facilities. The breakfast was good as well. I like to choose this hotel again and again. one complain only one, but important. the iron for Gotrah is very bad, I ask for strong nasha to make gotrah strait. they brought it as if nothing on it. It was OK. Clean and tidy hotel. Areas for improvement - the food on the Asian buffet we tried was poor; the pillows are too firm / bouncy - need softer pillows; no outdoor seating area. Was a real pleasant stay. Service average, several maintenance problems. Service was patchy. Faulty room safe took several requests and 36 hours to fix. Bath had no plug. One eventually provided didnt fit properly. nice hotel and good staff and rooms clean and large . Food was very Good . Good, loved the hospitality, room and facilities. Clean rooms,good breakfast,bathrooms could be a bit bigger and more lightening needed. All works fine. 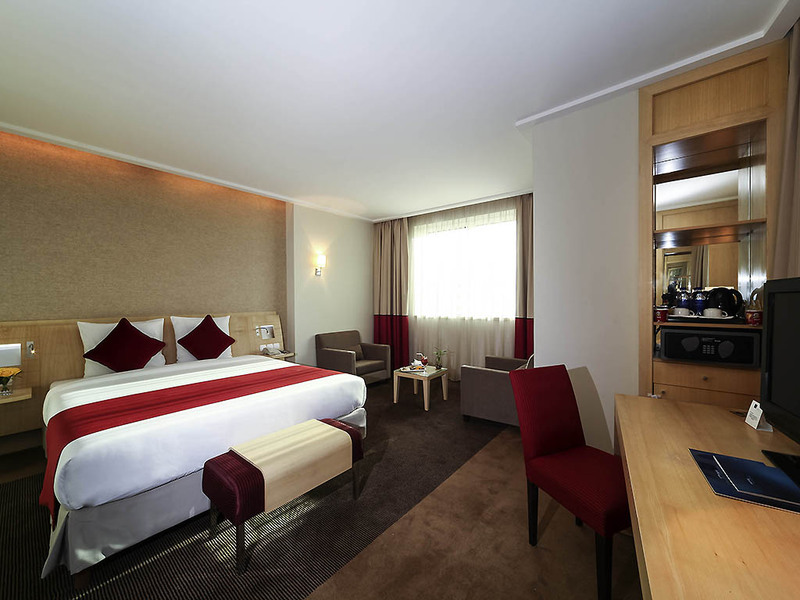 Clean room, always well taken care of bath, good lobby, quick answers at the reception desk. Food and hotel is good but two issues I have encountered. There is no power plug near to bed side to charge laptop or mobile and work. It is also difficult to sit infront of tv or lamp and work. Proper place is required to work in the room. Secondly services are bad , people don’t come to room earlier, sometimes even forget to come and serve.